Providing you the best range of donracks pallet rack system, donracks heavy duty pallet racks, donracks mild steel pallet racking system, donracks adjustable pallet racking system and donracks double deep pallet racking system with effective & timely delivery. 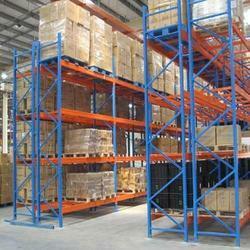 The clients can avail from us a highly acclaimed range ofPallet Rack System. These pallet storage racks are manufactured using superior quality raw material, which is sourced from trusted merchandisers. Our supplied storage systems feature adjustable pallet racks and thus can be used for storing the commodities of different sizes and shapes. We are recognized as a successful manufacturers, traders and suppliers ofHeavy Duty Pallet Racksin the market at the present scenario. This versatile rack can be easily installed and dismantled and re-assembled to a different need-based configuration. Our clients can optimally utilize the space and stock ample of products with ease. Moreover, these storage systems are durable and elegant in looks. These products from our side are made available to the customers at industry leading rates and are provided as per the set industry norms and protocols as well. The reliable and efficient service before and after the deal. True to its name, Adjustable Pallet Racking is all about adjusting the beam levels in the pallet racks to suit the need of the hour. In this kind of racking system, the beam is clipped into frames, where the pallets are supported by the beams. 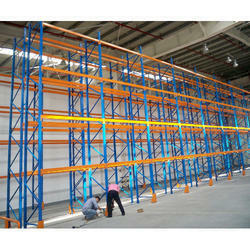 The Double Deep Pallet Racking System is another variant of the Adjustable Pallet Racking system. 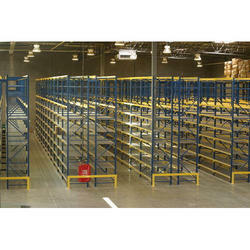 This system allows pallets to be stored a little deeper into the aisle while still offering access to the same. Donracks recommends this racking system for those spaces where space is a major constraint. 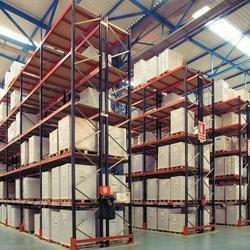 By minimizing the access aisles, space can be used for accommodating additional racks, thereby making the Double Deep racking system as a highly effective storage solution. 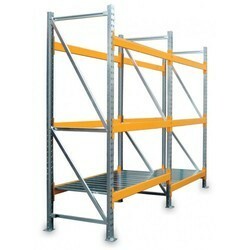 The speed of access to the pallet positions may be restricted, therefore this type of racking system is recommended for goods that are sparingly moved. This racking system is effective in businesses and storage houses that have an efficient stock management system in place. This system is best suited for goods that have a long shelf life as the stock is managed as LIFO (Last in First Out). Double Deep racking is not recommended for perishable goods.